Tax. We don't like paying it and we probably don't realise how much we pay overall. Some taxes are direct and obvious, others are indirect and may not be noticed immediately. However, all tax systems have allowances and exemptions - created to make the tax system 'fair'. So there is nothing morally wrong with making the most of your entitlements, is there? Here are 10 tips to help you reduce your overall tax bill. Of course, somebody has to finance the nation's essential services. But not the public sector featherbedding or waste. The annual bill for this family in direct taxes is £9,083; to this is added £5,393 in indirect taxes, such as VAT - totalling £14,476 or 40% of the average family's gross income. For families on higher or lower incomes the numbers will vary, of course. So, how can you reduce your tax bill? Some of these tips will be familiar; some will (hopefully) give you a new perspective. For anyone lucky enough to be earning enough to pay higher-rate income tax, it will usually be a 'no brainer' to pay that part of your salary into a pension (if you can afford to - and subject to the contribution ceiling). Some firms offer 'salary sacrifice' which allows you to avoid Income Tax and National Insurance; they might even give you the saved employers NI contribution. Enough said. But worth repeating. Cash ISA or (preferably) Stocks & Shares ISA. You may not like the idea of buying something pre-owned, but you will avoid VAT. And it will be much cheaper too. Any increase in the value of your home is exempt from Capital Gains Tax - and this can be a great hedge against inflation. It is tempting to buy the largest house you can afford. But if you buy a smaller house you will save in many ways, including furnishings and decoration but also in Stamp Tax and annual Council Tax. It will also encourage you to keep the clutter down. The tax advantages of getting married are not a good as they were but financial assets are still transferable between spouses, meaning you can arrange things to be tax-efficient. Also any bequests to your spouse are free from Inheritance Tax (and - for your children - the value up to your joint Inheritance Tax allowances can be passed on tax-free). And marry someone who won't waste money. One tax-efficient way to pass on wealth to your children (avoiding the restrictions on transferring cash when they are young) is to buy them a pension. This also allows you to 'claw back' basic rate Income Tax. 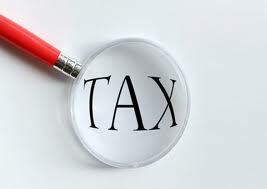 Getting the best deals for things like insurance, power and other repeating expenses also reduces your tax bill. Every little helps. Around 70% of the cost of fuel is tax. Makes you think. If you have the time and inclination, Do As Much As You Can Yourself. Not only is it cheaper but you will avoid VAT. Learn to cook: buying food ingredients is free of tax; restaurants charge VAT.